Get your smart life modern with this Bakeey SN58 Smartwatch (APP). Bakeey is one of the well-known brands in China in the Smart Watch market. P68 Waterproof, A small Tracker fits now in this watch experience in the form of smartwatches their big comeback. With this modern Bakeey SN58 Smart Bracelet can not only save contacts or phone calls, but they can also use for example as a mobile heart rate monitor or watching the latest news quickly. The coupling to a smartphone is no limits. Get this stylish ultra-thin smartwatch that will certainly suit your taste. Just weighing 59.2 grams, it is lightweight wearable with a fashionable look. 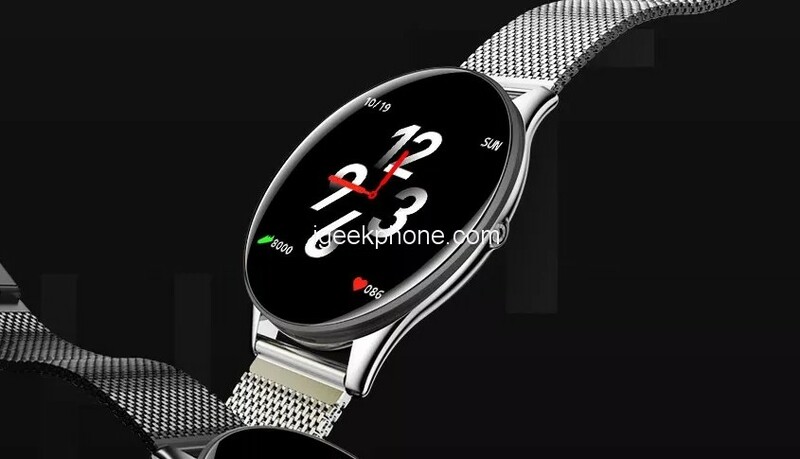 The Bakeey SN58 smartwatch has a stainless steel body, stylish and looks premium with integrated molding strap, there is a single button on the side for power/home button. The smartwatch looks much more premium with its Milanese strap making it look great for casual wear or formal occasions. The smartwatch has a full-color display, an IPS LCD screen measuring 1.3” inches with 240 x 240-pixel resolution. It is a high definition screen with full touch control. Enjoy the clean, crisp color screen of SN58 smartwatch. And on top of that, is a 2.5D toughened glass with fingerprint-proof oil surface. Well, there’s more! 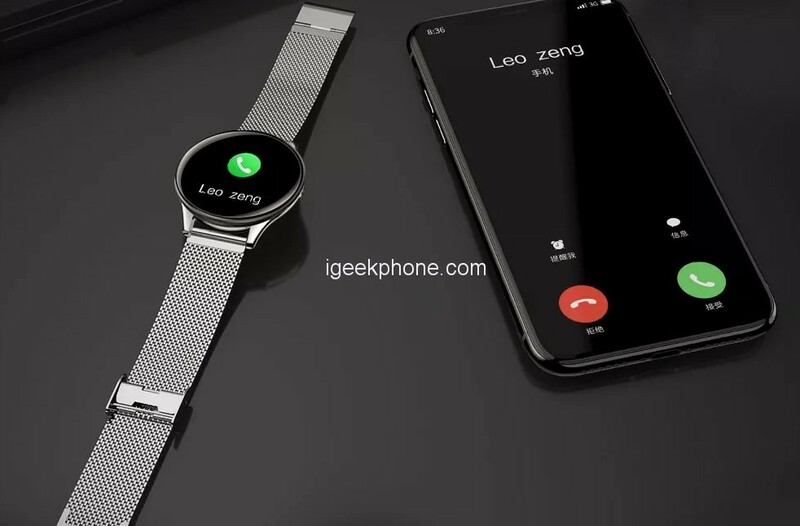 The device is also waterproof and dustproof, it has an IP68 rating, no worries about taking a shower or swimming, the smartwatch is tightly sealed and its certainly waterproof. The Bakeey SN58 smartwatch us using the Huntersun HS6820D chip and with Bluetooth 4.0 connectivity. It is compatible with Android 4.4 and above, and iOS 9.0 and above OS. The wearable is packed with G-sensor, heart rate sensor, it also has a blood pressure monitor as well as blood oxygen monitor. With regards to heart rate, it uses dual monitoring to have a more accurate result. Multi-sport mode, at least 8 sport mode available, walking, running, swimming, basketball, badminton, table tennis and football. 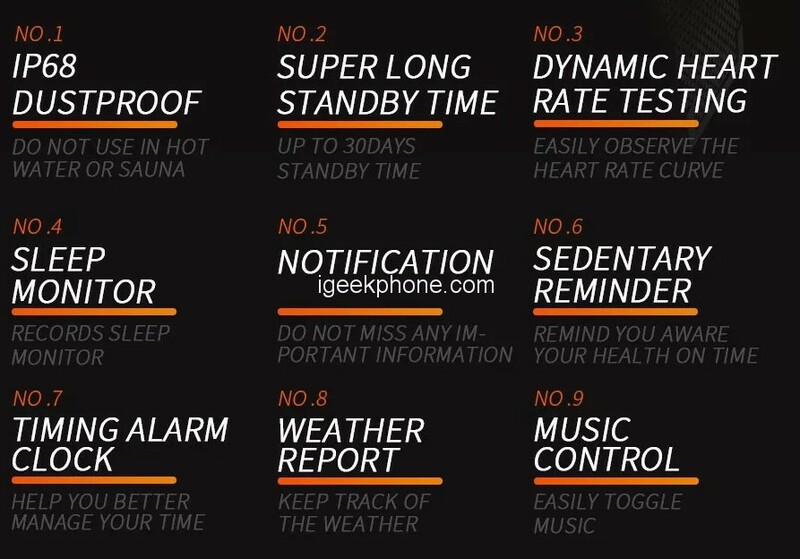 It also has sedentary reminder, sleep monitoring, and other health and fitness functions. Call and message notifications with caller ID, there is also an option to read messages on the smartwatch, social app notifications. There is music control, control the music on your smartphone with your smartwatch, stopwatch, remote camera, weather and more. This smartwatch from Bakeey has 150 mAh Lithium Polymer Battery and with a standby time of about 15 days which is good in this type of smartwatch.